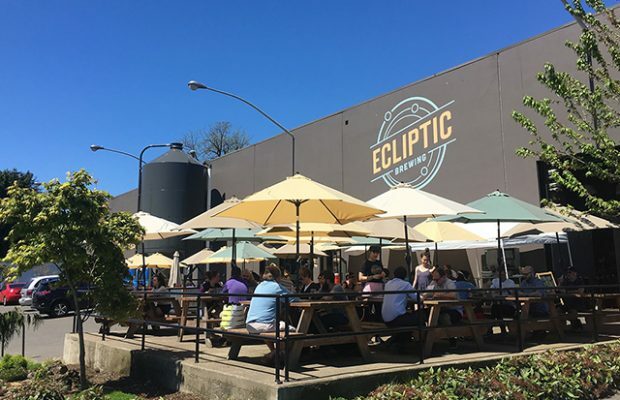 When Erin Grey Kemplin first started adding to the sales department for Ecliptic Brewing, the brewery’s Sales Manager was looking for employees on Craigslist and Facebook only. As the Portland brewery has grown they have also added more online resources to cultivate talent. “Word of mouth is also very effective for us,” she added. Having a passion for craft beer is a first priority, she noted. When speaking of culture, Kemplin — who joined the Ecliptic team in 2015 — said every person is different and some people come on board already a natural part of the Ecliptic culture while others need a month or two to let it all sink in. To help that process, they do a four-day series with on-board training. The brewery also has ongoing training internally to keep the team up to speed on all new beers that are released. Flying Dog CMO Ben Savage said in a previous interview with Brewer that the Maryland brewery has invested quite a bit of energy to continually train the sales team, usually once every two weeks for a few hours.